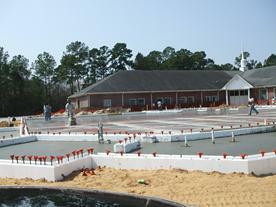 Forrest Concrete is the premier South Carolina installer of your insulated concrete forms in the Low Country. Insulated concrete forms have progressed throughout the years making it the ideal choice for builders in coastal areas. 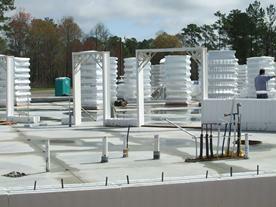 Insulated concrete forms are perfectly designed to withstand high winds while also having an added insulation value. 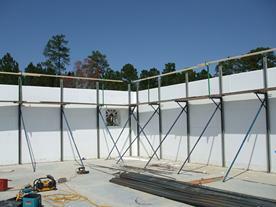 Insulated concrete forms and ICF walls help minimize temperature fluctuations inside the home. The highly effective combination of concrete thermal mass and ICF walls greatly reduces the amount of energy required for heating and cooling, saving you a fortune. When used in conjunction with other high quality systems such as windows and roofing, homeowners can save up to 50% off their heating and cooling costs annually. 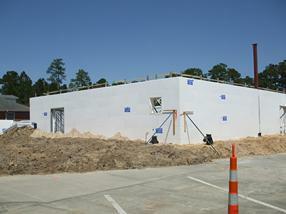 Insulated concrete forms are an excellent way to save costs while helping your home or building stay insulated. 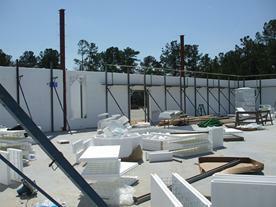 Drafts, hot and cold spots are virtually non-existent with the use of insulated concrete forms. Forrest Concrete can insulate your home today and help you start saving money!